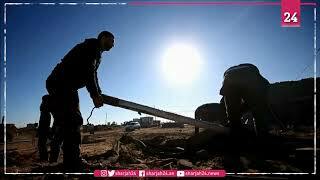 Sharjah24 – AFP: Two Palestinian teenagers were martyred by Israeli occupation fire on Friday during clashes along the Gaza border, the health ministry said. Hassan Shalabi, 14, was killed by "live fire to the chest east of Khan Yunis" during protests along the frontier with Israel occupation in the southern Gaza Strip, the ministry said. It announced the death of 18-year-old Hamza Ishtawi shortly after, saying he was shot in the neck during similar clashes east of Gaza City. Another 17 Palestinians were shot and wounded at different protest sites along the border, the ministry added. The Israeli occupation army declined to comment on the deaths, but said 8,200 "rioters and demonstrators" had been protesting along the frontier.